Can Regular Dish Soap Be Used in a Dishwasher? Can I Use Regular Dish Soap in a Dishwasher? We've all wondered: if I'm out of dishwasher detergent, can I use regular liquid dish soap in my dishwasher? After all, ordinary dish liquid has a similar consistency to liquid dishwasher detergent and, depending upon the brand, it can be cheaper. 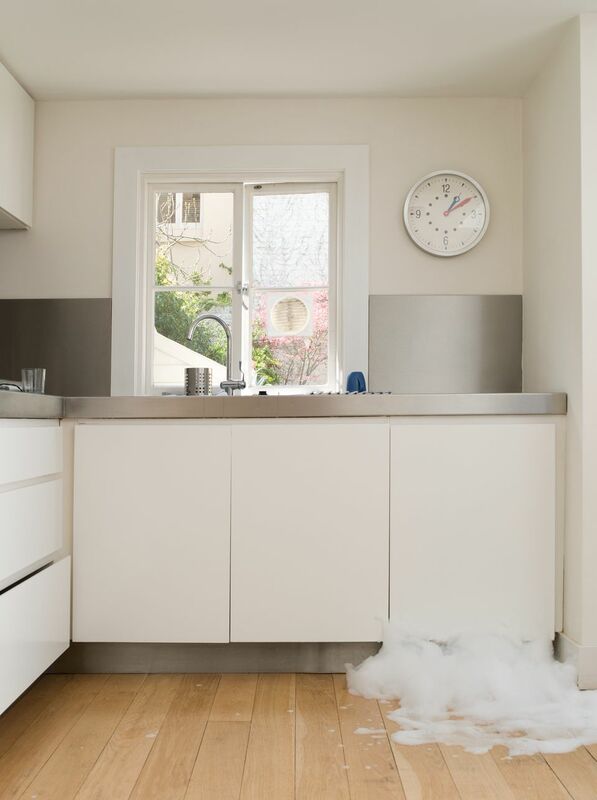 If you have used the incorrect liquid detergent for a cycle, you may need to run the wash or rinse cycle a second time, without detergent, to rinse your dishes and clear out the soap suds and residue. You'll also have to clean the slippery mess your dishwasher made all over the floor! A straight substitution of ordinary dishwashing soap for dishwasher detergent is a recipe for disaster, but just a few drops of ordinary dishwashing soap combined with baking soda is actually a good recipe for sparkling dishes. Baking soda helps reduce sudsing while it also improves your dishwasher's performance. You may even wind up with a cleaner dishwasher by using this system. Stir together thoroughly, and store in an airtight canister. You can use this powder just as you would use commercial dishwasher detergent, or keep it handy in case you happen to run out. Are You Making Any of These 10 Automatic Dishwasher Mistakes? What Are the Best, Ways to Remove Burned-on Food From Pots and Pans?